Forest Garden Pale Picket Fence Panel: go for the Forest Garden Pale Picket Fence Panel to capture the ultimate feel of the iconic suburbia. Use it as a border around your front garden, or as a simple low-level partition anywhere in your outdoors space. Using this type of fence for a garden enclosure means that your neighbours will be able to see through into your gorgeous garden and admire your flowers. Not opting for a solid wall fence will show your inviting and neighbourly mood and your intention to showcase your garden, choosing, perhaps, your back garden for your private moments. 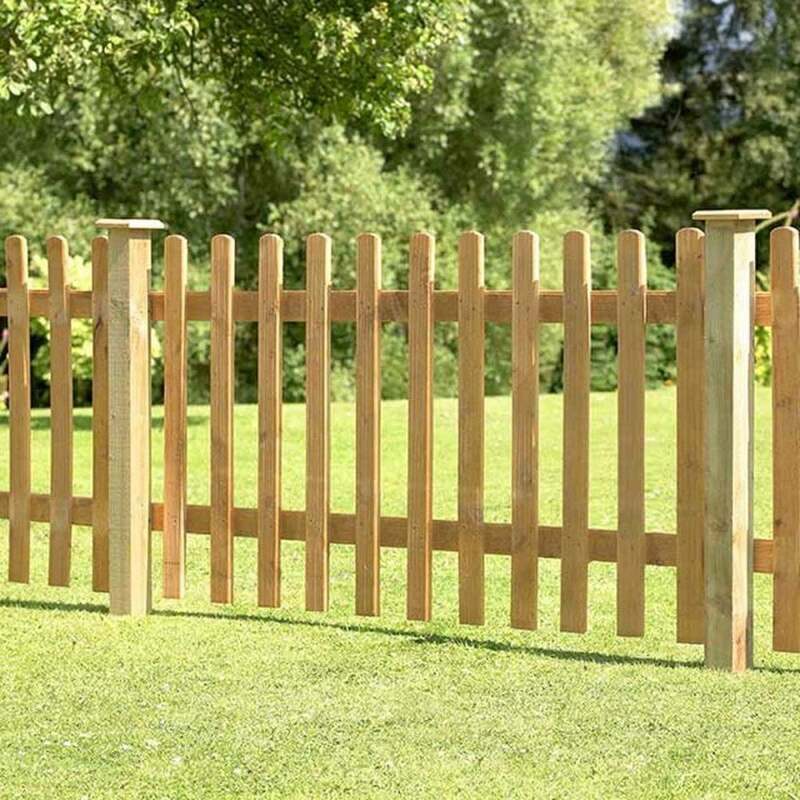 Despite its open slatted palisade design, the Pale Picket Fence Panel is durable and stable. It also features a decorative grooved profile and it is secured to two grooved profile horizontal backing rails.